When i decided to worship at Kris Okotie’s Household of God on (Sunday 29th December 2013),i knew i was going to have a lifetime experience. I have heard so much about my namesake and his exploit that i was so eager to visit his sanctuary today. For those of you who do not know, Household of God is situated along Oregun road Ikeja Lagos. Kris Okotie owns all the land and buildings on that street .His Church shares the same fence with Chris Oyakhilome’s Christ Embassy Headquarters. Arriving Church was easy.. I made my way into the Church after the normal searching at the gate. The first thing that will hit you, were the bouncers, whose chest were as huge as bags of cement, even the devil in his wisdom dare not make a move near that Church at this time. The inside speaks of the taste of the man, sparkling, well decorated to taste. Parked outside was not his new Rolls Royce but another Mercedes Benz Limousine with customized plate number. As it is customary, my seat must be beside a fine babe. Kai, they were not in short supply at Household. Infact this Church has the highest concentration of fine babes that i have ever seen in any Church. Kris Okotie must have selected them himself. The organizers of Most Beautiful Girl in Nigeria will envy what i saw today. Kris Okotie can successfully organize ten good pageants with what he has in that Church.He even said ,they accuse him of marrying fair babes. See shape,tall,short,dark,fair,half caste see catwalk, see stepping, see mini skirts, see fine steps, see clean smooth skins. See nails,i say come see cloth. Brazillian hair,no be that type wey all those Lagos babes dey do under Ikeja bridge. It was like a competition. Abeg if you no get designer clothes ,shoes, bags etc no come Household, because, dem go think say you be steward or waitress. After taking my seat, beside my lovely damsel,i quickly adjusted my lens and snap some pictures while people were settling down. Within minutes,a very huge guy that will make Hulk Horgan look like a baby wrestler walked up to me asking me to follow him. My heart sank,wetin i do now..who i offend,who send me make i come Kris Okotie’s Church..Na today i go see wetin my eyes dey look for. I was relieved, from that moment, i just respected Kris Okotie and his security agents, these guys were not being paid for nothing. On resuming my seat,my concentration now focused on the Service of songs which was being led by a lady..it lasted for close to an hour before the man of the moment finally came in, ushered in and surrounded by six huge bouncers,the type that will make Goodluck jonathan’s guys look like kindergatens. He made straight for the pulpit.Three of the bouncers took their positions in front of the alter, just like you saw in that picture that was in circulation last week. 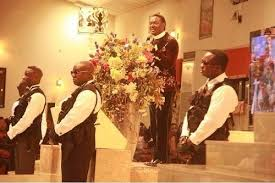 Okotie looks more like a pop star than a pastor.He has not changed one bit from what i saw of him about ten years ago..His jerry curled hair was shinning.He wore a golden colour Jacket with black patches over a black trouser.You will mistake him for one of those Hollywood actors. Immediately he picked the mic,he went into solo songs..Okotie does not have a choir or back up singers. He is the Choir,Choir master and chorister all put in one.His is the only Church i have visited that does not have a choir. He was moving from one song to another, for over one hour he didn’t stop. I was forced to ask the babe beside me,if it was a service or Song festival. She didnt even bother to answer me, all she was saying was give it to me,give it to me Pastor,i can feel it ,give it to me as she sang along..Haaa,give it to you.give you what i asked..
She took a long look at me and continued in her frenzy,i say give it to me my pastor.Oti o. This is another level,since i didnt want to be left behind,as Okotie was singing i joined her in saying,Give it to us,give it to us pastor,give it to us oooooo.biko give us,give her,give me too lalalalalala. The lady suddenly stopped and pinched my hand .Keep quiet,you are not singing like someone that is in the spirit she told me.I asked her what she meant,after all i just wanted pastor Kris to give it to us and you are asking me to keep quiet. By now she had kept quiet and was watching me. Some were jumping up and down like people possessed by spirit. Some were even running from one end of the auditorium to another. The beautiful ones that occupied all the front rows,stood up and were dancing close to the alter,as if to say Man Of God,we are still available o. But Kris Okotie must have been used to it because, he no even look their side. He was singing in languages that i never understood. After over an hour of singing,Okotie now prayed for two nations,Nigeria and Israel (why Isreal,i don’t know) but i heard those were the two countries he prays for weekly. After the prayer which lasted for about five minutes, he entered gear two,he kpet on sining,singing,singing and sing. 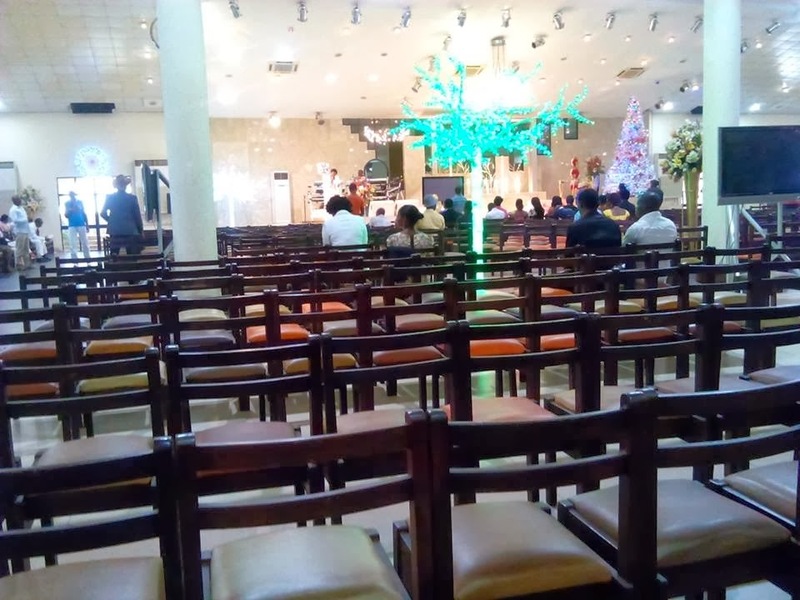 Haba,which kain Church be this nah,no wonder all these people are trooping here,they came to see Okotie perform every week, definitely not his preaching. After he must have satisfied himself, he now settle down to speak on the birth of Jesus Chris and the three wisemen that came to visit Joseph and Mary. It’s was easier to understand Patrick Obhiagbon and Wole Soyinka than listening to kris..At a point i i asked the babe beside me what Kris just said,she said she didnt know,i then asked how,how come you were shouting Praise the Lord. She told me that i just have to accept what he is saying with open minds without questioning.na him i tell am say ok,i hear. The average age at the Church was 40 years. Kris Okotie has die-hard converts who from all indications are ready to do anything for him. he is to them,a role model of a sort. The babes are well polished. Not the type you see at most of these orthodox churches like Anglican and Roman Catholic. Okotie went on to say, Love without Money is not complete. According to him, shower a woman with money and see how she ll cherish you for life.To him,love is not enough.it must be backed with money and big time gifts. According to him,that is why he buys the latest expensive cars. With that i kuku gradually remove my hand, before the girl go collect my car key and i come take leg waka go house. She asked me if anything was wrong i told her no, that i was just feeling dizzy and would need some fresh air outside. To add to my stress, Kris Okotie now shared free birthday cakes for people born in different months of 2014 (yap 2014). He only shared it among ladies; no single guy was allowed to pick a cake. He also conducted quiz among us, he only allowed women to answer the quiz and each of them were given cakes and gifts. Of the over 20 gifts Kris Okotie gave away today,no single man or guy was given any. He said his gifts were ONLY for women. At that point, i knew i have over stayed my welcome. I told the babe that i wanted to go and take some fresh air outside; from there i disappeared and drove off. It’s obvious that Kris Okotie and his babes still have a lot in common. If you need fine babes,go to Household..If you need superlative Music,Kris Okotie will give you several doses, but if you need serious preaching, i doubt if Pastor Kris Okotie will be my first Church,maybe because of the big big grammar and effizy. 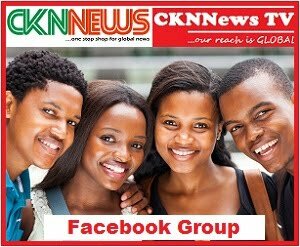 CKN Readers Reaction To The Story When it was first published on Sunday. Prince Ayo Faloye, Adelani Adeniyi Victor, Iyabode Odukoya Oloori Hussein and 74 others like this. Chinenye Ubarieke hmmmmmmmm. weldone oooooo . CarolineJk Martins-Ojo IyawoJesu Hmmmmm! You no go kill person ooo!! Am laughing alone here! *You mean u ddnt pick one "word"? Savn Duke Hahaha!! Very segregative. That kind of church go get plenty armed robbers, yahoo-yahoo men and boys; classified criminals. Isaac Olamikan D yeye fellow is just clowning around! He looks more like an impostor! Savn Duke CKN, you say Wole Soyinka and Hon Patrick are better understood when compared to Kris Okotie? Savn Duke CKN, abeg, you fit explain that “give it to me/us” well, e never clear me well? Ckn Nigeria Savin wetin i wan explain,the babe say make pastor give it to her,na im i join am nah..i don't know what Pastor gives her o.
Savn Duke CKN, “OUT OF THE ABUNDANCE OF THE HEART, THE MOUTH SPEAKETH". May be the lady dey express wetin don happen before, or about to happen. CKN don finish me---Laugh wan kill me here. Mfon Onyewuchi Ah! O ga o! A very good description , Oga Chris. I know a friend who after looking for a husband for sometime together with her two other friends later decided to check at Household, that guys normally go there to look for babes. Thier trial wasn't bad at all o. They all found guys that dated them and afterwards those guys married them. Pastor Kris is a gifted singer. Its just that satan seeks for his weak psyche to embarrass him most times. How I wish he can learn his lessons where babes dey so he can concentrate on his unique God given ministry. His calling is unique in all ramifications. Meanwhile, why u sef the scan churches? Olusoga Lati Odusanya Shebi you don go do your amebo finish ? Ojota boy wey dey dear "ordinary bouncer"
If na me, I sure say you go form. Muyiwa Morin Omotosho Adejayan Very funny!!! Olufem Kareem CKN,WONDER SHALL NEVER END. Kizito Nwogu is that not the same pastor that said all catholics will go to hell? Precious Eze The man sure knows class and taste! Sincerely, maybe today for him wasn't for preaching but for showmanship! Korede Sanya Ijo irapada kris okotie. Try visit c.a.c at ori oke ikoyi too. Funmi Ade Why u come delete now? So no pix to show us? Ur story no full at all. Bakare Ify welcome back dear,thank God you obeyed the order if not you for hear nwii. dis one really pass you soteh you don't. even have a single pix. nx week shld be COZA right?. Nnunu ogba ama. Bernard Ezenagu Anyiam Well-done, CKN. But next time, be careful on how you take pictures in venues such as that. You were fortunate you came out without a swollen face. When a so-called "man-of-God" surrounds himself with bouncers and body guards, it tells more of the god he worships. Apply caution always! Jane Njoku Ndukwe Hahhahahhahhahhahahha abeg!!!! Tayese Omo Ayegunle Give to them! Obayemi Kemie Lucee Adebija chris you will destroy ribs with these write up. its so hilarious! some people attend churches for the beauty,glamour and 'i want to belong' reasons. what was all those give to me all about if she couldnt decipher what the pastor was saying? fake life.i first answered altar call in his church way back in 1989. i know for sure that there would still be those whose salvation would be solid in that church. Jadidah Osa LMAO!!!!!! CKN this your story made my week....I had terrible week-before-christmas and was still recovering from it. But this right here evened it all out for me. Very descriptive!! !...THANK YOU!!!!! 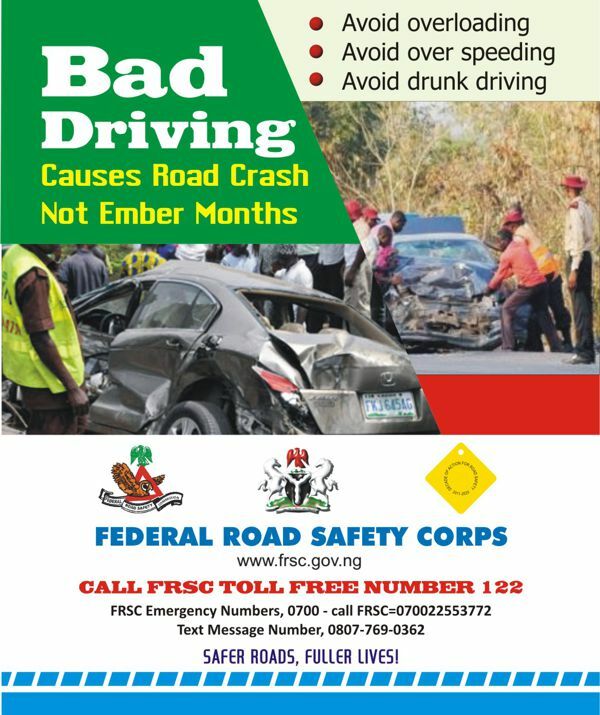 Adeniyi Tinubu CKN, fine report, one of the best I've read in recent times, it is so smooth and you delivered the message, I enjoyed reading this. I wish you the best in the coming year. You are going places brother, no bouncer fashioned against you will raise his fist........ Go on sohun jooo. Jadidah Osa Ckn Nigeria, AMEN, AMEN, AMEN!! I wish you the same and then some in Jesus name, amen! Ayodele Emmanuel The Lord is good all the time . Kenny Olaoba EJIRE,TX FR SHARING DS WONDERFUL EXPERIENCE IN D HOUSE OF GOD.HOWEVER ONE OF D CHRIS IS WRONG ABT D VISITATION TO JESUS CHRIST AFTER HIS BIRTH. PLS NOTE NO 3 WISE MEN VISITED JESUS. THE BIBLE RECORDED THAT WISE MEN FROM D EAST...HOWEVER OVER THE YEARS WE WERE MADE TO BELEIVE DT 3 WISE MEN BC OF D 3 GIFTS GIVEN TO JESUS. IT COULD HV BN A DELEGATION OF 2 OR 3 OR 4 OR 5 OR EVEN 10 WISE MEN.TX BRUV. Adaora Odumodu hahahaha ckn this is real nitty gritty gist. True true u dey waste ur talent, reading this, I felt I was in the church as well. Thanks for this, its only substantiated what I have always said, the man is real smart!! and working for his daily bread period! Ola Bakare nice delivery reportage. Raw Nwanne Boss, i think you missed your calling o!......your story-telling skill is on point jare. biko you have to consider writing novels abeg! This is an excellent piece. Lola Seriki I like ur experience. Pls next time stay till d end of the service. Lola Seriki I like ur experience. Pls next time stay till d end of the service. Wishing u a prosperious new year. Kayode Yussuf Haaaa christ u no im telling u every sunday,the thing wey you dey look for under coco yam u will see it tuber yam one day.Today na example wirh the security.But sha man go visit that church soon with this information on babes i hear. Azodo Florence nice storyline, exellent report! y not consider writting as a plan B? Adeola Amusat Better as the day goes by, super narrator! Undoubtable eye witness account!! Nnamdi Abraham Onwunali bros i hail, nice one. i just d̶̲̥̅̊ε̲̣̣̣̥γ̲̣̣̥ laf. please try & visit Rev king church next sunday make we know how far he d̶̲̥̅̊ε̲̣̣̣̥γ̲̣̣̥ go Fø̲̣̣я̅ there. Phil Smart PERSONALITY CULT ?? Chinwe Chibaby Hahaha! Christ you no go kill persin. As i dey read the write up e jus do me like say i dey inside the church sef hhahaha. Best narrative piece of the year!! Oluwatoyin Ogunlana Shittu U re a product of LASU per excellent, this is a true short story.precise, hilarious,educative,well written. CKN we ll celebrate u soon. Moyo fun e! Daramola Williams Olakunle CKN, you are just a genius. Okenwa Sam Anyaehie Very adventurious, keep it my man. Abimbola Kudehinbu I am just envious of this writing skills. Beautiful. Bolaji Adebiyi CKN! Nice piece. But Kris must have degenerated. I attended the church when I was in Lagos. He was a good teacher not preacher. So it's either you did not understand this or the pastor might have changed. All the same, keep up the good work. Veteran Doyen Azeez CKN!!! Haba!!! Wetin now??? Good narrative epistliomics. Oladapo Sobukola thanks chris, but i think you deserve to do part 2 of this story, by paying a second visit,its an episode not completed. Ololade Toyosi oga, dont judge book by the cover pls revisit after the festve period or buy some tapes. Pst kris is one of the best preacher that we have around. take ur mind of the english and listening to the WORD. 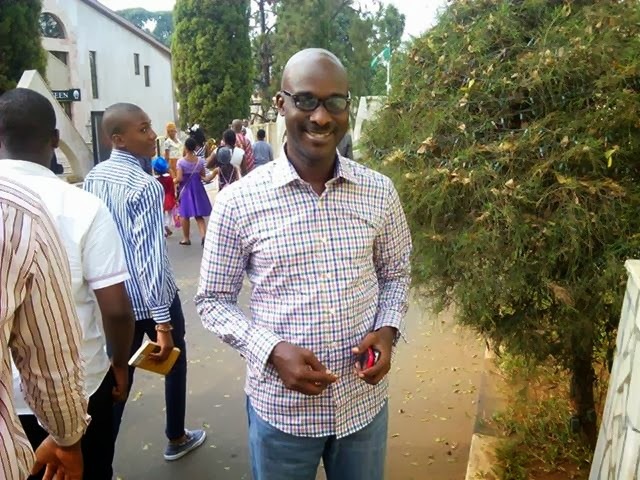 Olukemi Ilori @ Oladapo Sobukola: I like the idea of a second visit; they will be waiting for CKN after reading this piece....hmmmm, would be interesting!! Ig Nwene CKN,please invite me to join you in the next service as the frenzy cannot die fast ! By the way,thanks for the master story telling with details to enjoy !! Oladapo Sobukola @kemi ilori...ckn is a big boy, nothing can happen to him, even the security recognise that he is a star. GPhets Agric Care A graet adventures...........more grease. Boyce Danny Bassey Ckn, you are ending the year on top of the league just like my team.. ARSENAL with this good narrative writing.. Really really on point! ... Very funny as well.. Still waiting for TB Joshua's Synagogue report next sunday though!.. Vivian Michael All these CHRIS..........HOW CHRIST-LIKE?????????? Basil Chiji Okafor Raas-claat! I laugh, I nearly get stroke!! Very entertaining indeed. Modupe Ohikhuare Gbenga Adefolarin I cant just stop laughing. Ur delivery is SUPER. Mike Ikem Umealo What of the point when churches, "hold somebody next to you...." What did you do? Any experience of "holy hug?" Modupe Ohikhuare Gbenga Adefolarin @ikem. Haaaa! Holy hug. Lol. Ckn how sure are u? Is it nt a are fabrication of stories? See satan is already out,I mean anti christ,is seriously gathering his own. Its good those ills in churches are exposed,so d@people if God will kniw where they ar heading to. O yes that's what it should bE. Ur reporting n writting skills r so good I felt I was in church wit u. My mouth n eyes were wide open wen I was readin ur encounter. Pls hope d bouncers at d pupit r dey holding guns or jus d vest? I CAN SEE U AR PUTTING ON A PAIR OF GLASSES THAT IS WHY U SAW HUGE BOUNCERS AND BEAUTIFUL LADIES THAT ARE ONLY PART OF D SECRET IMAGINATIONS OF UR CORRUPT MIND.ARE U SUCH A DWARF THAT MADE THOSE SECURITY MEN LOOK SO HUGE IN UR EYES...??? ?WHAT LIMO DID U SEE???? PEOPLE ARE FREE TO WORSHIP GOD D WAY THEY CHOSE,WHY ARE U SO CONCERNED ABOUT D WAY THEY DANCED OR HOW THEY WORSHIPED.THEY ARE FREE TO ROLE ON D GROUND IF THEY CHOOSE.ALL WHAT U WROTE SHOWS HOW LITTLE U ARE N MIND. SINE U ARE IDLE AND UR FANS WANT MORE FABRICATED LIES I INDULGE U TO VISIT SOME MORE CHURCHES, FEED THEM WITH MORE OF YOUR LIES SO THEY CAN PARTAKE IN UR DOOM.THAT IS WHY MOST JOURNALIST LIKE YOU END UP MISERABLE AND AN EASY PRAY FOR THE DEVILS ATTACK. GO ON IN UR FRUSTRATED LIFE OF MALICIOUS STATE OF MIND. Bouncers!!!!! They must be his apostles. I had always wondered why GOD loved and blessed King David regardless his numerous flaws, until I read the book of psalms continuously and realized that David knew how to praise GOD! This is the same secret weapon Okotie is using regardless his several flaws, because a certain level of Grace is upon him. Though, I sincerely don't approve nor condone his lifestyle as a MOG, but GOD who works in mysterious ways, knows best. him then would leave, giving him peace, until another relapse. When we praise GOD with all sincerity, HE turns our predators into preys, because HE inhales the praises of HIS people like a sweet fragrance.